Why should I choose Keystone Window? Are my design options limited when choosing a vinyl window? Are all your windows custom-built? Do your installers have specialized training? Do you install windows year-round? Will my home be exposed to the elements during installation? Will installation require altering the wall or window frame? What can I do to prepare my home for the installation? What if my current windows are fitted with security alarms? In what part of my home will installation begin? Where does most of the installation work take place? What time of day does the installation take place? What are Awning and Hopper windows? What are Bay and Bow window? What areas of Pennsylvania do you serve? How can I check on your service record? How can the energy-efficiency of windows be compared? What does EPA Lead-Safe Certified mean? Is Keystone Window an EPA Lead-Safe Certified company? How does the EPA Lead Safety Law affect the installation procedure? Our windows are Energy Star certified. Our prices include the installation cost! Our average cost per project is approximately $4150, based on 10 any sized, Energy Star qualified, white double hung windows with a U-Factor rating of 0.28 and an air infiltration rating of 0.07 CFM at 25mph. We offer many financing options through Wells Fargo. One option is 6 months no interest financing, with minimum payments. Yes! Premium Vinyl Windows, sold by Keystone Window, are backed by a Lifetime Warranty designed to protect your investment and our reputation. It guarantees that our windows will not rot, rust, warp, pit, corrode, or blister, and that our vinyl colors will remain true for the life of your home. Our Lifetime Warranty is non-prorated and is fully transferable. We also warranty all moving parts and the hermetically insulated seal against defects in materials or workmanship. Finally, we offer the ultimate in protection with an optional lifetime glass breakage rider for extra peace of mind. Your return on investment will be faster because our windows are Energy Star Certified and have the lowest air infiltration rates available in the industry. In addition to their energy efficiency, our windows are installed correctly, which minimizes air infiltration around the window. Windows are one of the most inefficient products in your home, and should always be installed by professionals to ensure their maximum efficiency. No, although this was true years ago. However, the advances in vinyl technology have dramatically increased window design options. Some of these options include sleek, sculptured frames, woodgrain and color finishes, diamond grids, and beveled, leaded, or stained glass. Please ask me, Rob Mato, owner of Keystone Window, for more information about these options. Yes! Each window installed is custom designed and built to meet the exact size and shape specifications for each particular opening in your home. Typically, it takes 28 business days for your windows to arrive from our manufacturer and be installed. The majority of projects will be completed in one day, although some more complex projects can take longer. Yes! 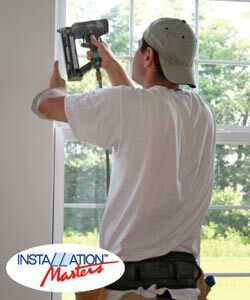 Our installers are insured, licensed, and trained by the manufacturer in the Installation Masters™ certification program. Your family’s health and our employees’ health are number one concern. We are committed to ensuring that all our installation crews are EPA certified to safely work with and remove lead based paint. Yes! We will work with you to determine a date and time for the installation that works best for you, even during the winter months. No. Most projects can be completed in one day, and our installers will only install one window at a time, so your home will never be open to the weather for any extended length of time. In the event of snow or heavy rain, we will reschedule your installation to another day convenient for you. In most cases, no. Our double hung replacement windows will be installed in the existing window opening. However, special circumstances may require some alteration. For example, if you choose to have a bay or bow window installed into a double hung opening, the wall will need to be altered. Our installers are thoroughly trained in how to support a building structure to all codes and regulations when making necessary adjustments to your window opening. All objects and furniture in front of the windows will need to be moved in order to give our installers an open area to work. Our installers need two feet of space in front of each window to work, so only furnishings very close to the window area will need to be moved. However, you need not worry about doing this yourself. We are more than happy to assist with moving heavy items. In addition, please take down any wall decorations close to the windows, as well as all curtains and blinds, and disable any window security systems. We also advise that you relocate any important papers and small items, and cover computers and other electronic equipment. Lastly, our installers will also need to work outside, so please cover and protect all plants below each window. You may want to temporarily relocate delicate plants, and some trees and bushes may need to be pruned back. We will do our best to be careful, but unfortunately we cannot be responsible for damage to plants located directly in the work area. Please notify your alarm company. Our installers have experience removing contact sensors from sashes, and can do so if you wish. However, your alarm contractor will be responsible for reinstalling the system in your new windows. On the installation day, our crew leader will survey your home to determine where to begin. If there is a particular area that works best for you, please feel free to advise us of your preference. We will do our best to accommodate your wishes. A main work area will be set up where we can prepare the windows and wraps. Usually your driveway is the best spot, so we ask that you please move your car so it will not be blocked by our setup. Typically our installation crew will arrive between 9am and 10am,, and stay until the project is completed. If your project is a large, 2-3 day job, our crew will work as long as there is daylight. If there is a certain time at which you would like our installers to leave, please inform our office when scheduling your installation. If heavy rain or snow is forecast for the day of installation, please give us a call and we will be happy to reschedule. Yes. Unfortunately, construction work is a disruption and can create a mess. We will do our best to minimize any disturbance during the project, and we will clean up once the work is completed. Please note that we will not remove the window stickers. Our installers will remove them from your home and dispose of them properly. Until you are entirely satisfied with our work, the project isn’t complete. If you have any issues, please talk to the crew foreman or call our office. sashes to be lifted or raised with less effort. They also allowed the sash to stay in position while raised. See our photos of double hung windows. The handle mechanism of a casement window is easy to operate and is usually located low on the window, making the casement window an ideal window to place above cabinets, counter tops, or places that are slightly more difficult to reach. See our photos of casement windows. An awning window is designed so the bottom of the sash will swing outward from the home when opened. Hoppers, on the other hand, are designed so that the top of the sash will swing inward from the wall when opened. Awning windows were used before the invention of air conditioning. Because an awning window allows fresh air to flow into a home while keeping light rain out it was a perfect solution. Hopper Windows remain popular today for small spaces such as basement rooms and small bathrooms. Because a hopper window opens completely, unlike a slider or double-hung that only opens half-way, it is able to allow more air ventilation. See our photos of awning and hopper windows. Bay windows and bow windows project outward from the wall of the home. They create a feeling of extra space inside the room and create a larger viewing area to the outdoors. Bay windows first became popular in the 1870’s. Today, bay replacement windows are sometimes installed to achieve the Victorian feel of that era. Due to their versatility, Keystone Window’s bay and bow replacement windows are also installed for a variety of other reasons. See our photos of bow and bay windows. Vinyl picture windows are large, non-operating windows that provide a clear view of your outside surroundings. They act like picture frames for your outside scenery, giving rise to the name, picture window. You may choose to replace a combination window (two windows side-by-side) with a single picture window. This will add a more contemporary look to your home and give you an expansive view of the scenery outside. Vinyl picture windows are not made to open or close, making them one of the most energy efficient windows available. It is much more difficult for air and moisture to penetrate a sealed window than one that is meant to be opened and closed. In addition, an inoperable window is a smart choice for people who have allergies and must minimize airborne contaminants entering their home. See our photos of picture windows. Currently we serve Chester, Bucks, Berks, Delaware, Montgomery, and Philadelphia counties of Pennsylvania. We are an A-rated business with the Better Business Bureau (BBB). The principals of Keystone Window sold over 6,500 windows in 2010, and over 15,000 windows in the past five years. Visit our BBB profile to see our rating. We are also an A-rated business on Angie’s List. 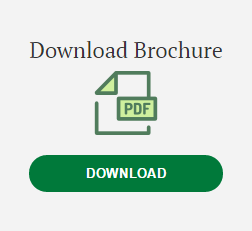 Visit our Angie’s list profile. lower the U-factor the better. Generally, U-factor ratings range between 0.20 and 1.20. To be Energy Star certified, a window’s U-factor rating must be below 0.30. All of our windows have U-factor ratings are 0.30 or lower, and are Energy Star certified. 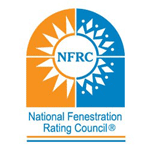 The National Fenestration Rating Council (NFRC) is a third party, non-profit organization that administers the only uniform, independent rating and labeling system for the energy performance of windows, doors, skylights, and attachment products. It provides fair, accurate, credible, and user-friendly information on fenestration product performance. The NFRC label on your windows is specific to the overall thermal performance of the specimen window tested by the NFRC. Premium Vinyl Windows, sold by Keystone Window of Pennsylvania, are all Gold Label certified by the AAMA. A law passed by Congress in April 2010 mandated that all contractors working in homes built prior to 1978 must be certified by the Environmental Protection Agency (EPA), and are required to follow specific lead safety guidelines to prevent lead contamination. Read more about lead safety here. concern. We are committed to ensuring that all our installation crews are EPA certified to safely work with and remove lead based paint. Contact us today for more information. We take your concerns for your family’s health very seriously. When it comes to lead safety in window replacement and entry door installation, no one takes a more rigorous approach than Keystone Window of Pennsylvania. Your family’s health and our employees’ health are number one concern. We are committed to ensuring that all our installation crews are EPA certified to safely work with and remove lead based paint. Contact us today for more information.